It wasn’t too long ago that North America’s Hellmouth of a state was calling for people to go out into the wild and bag/kill as many giant pythons as they possibly could. Now that that’s yesterday’s Nature versus Humankind battle is over, everyone’s favorite birthing place of weird EVERYTHING is taking us back to the good old days of that era of 1970s horror films when piranha, worms, snakes, rats, bears and even tadpoles decided they were tired of sharing the planet with us. Just what the hell is this new scourge that’s coming to wreak havoc upon us now? Giant African Snails that can grow to 8 inches long, devour 500 different species of plants and (you’re going to slap your face like Maculay Culkin in Home Alone right about now) they are tearing through stucco and peoples’ homes! Not only that but the snails’ shells are big enough to puncture car tires because they’re Frogger-like skills are nonexistent! Brian and Justin are brought to the gates of a mysterious cavern. Is it the literal gate to hell? How far would Andrew go for science? We discover the horrifying outer limits. What would you do with your own vigilante botnet? 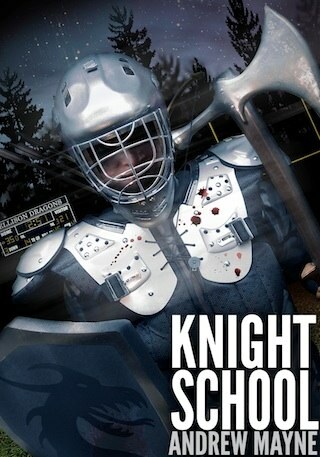 Support the show by purchasing Andrew’s BRAND NEW BOOK Knight School just click on the image below. 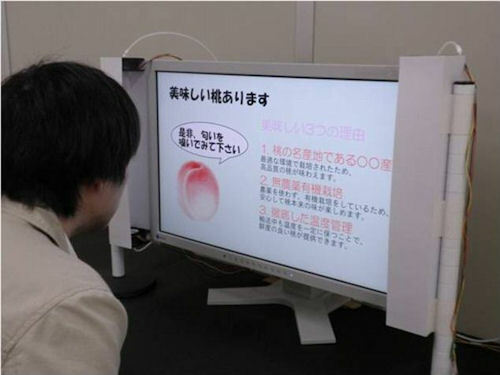 Your Monitor Smells – Because Science Is Creating Monitors that Produce Scents! That’s right. Scientists have been working hard at making your television smell. Do we really need to smell the elephants of Africa while watching a beautiful documentary about the animals? chef shows up shoving a tray full of warm, delicious chocolate chip cookies in our faces. your nose is the one in the recliner experiencing it. Halloween Horror Nights, the smell of rotting meat to add a subtle something to guests’ in-park experience. Or the sweet, acrid smell of a Well Zombie from the Walking Dead. Posted in Experiment, Science, Technology | Comments Off on Your Monitor Smells – Because Science Is Creating Monitors that Produce Scents! Lo! The Ancient One Cthulhu Walks Among Us! Researchers have found the tentacled god Cthulhu at last he shall walk the earth and consume us all. By earth we mean the gut of termites and by consume we mean engage in a symbiotic relationship. 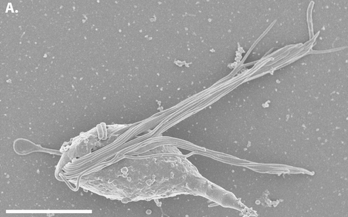 Oh, and this Cthulhu as described in the PLOS ONE paper is actually a microorganism. But he does have tentacles and is as scary as the deep dark hell from which he most certainly came from. Researchers Invoke Cthulhu In Naming Two New Microorganisms : World : Latinos Post. Posted in Science | Comments Off on Lo! The Ancient One Cthulhu Walks Among Us! What’s better than Yeti tracks in the snow? Video of a Yeti. What’s better than a Yeti? Two Yetis! What’s better than that???? A mama yeti and her child filmed by some 12 year old Russian kid. To top it all off, a Russian scientist has even declared the footage is legit, because it’s not like you could fake something like this. Next you’ll have us believing it really was a meteor that slammed into Russia a few months back. Seriously. Science. Yetis. 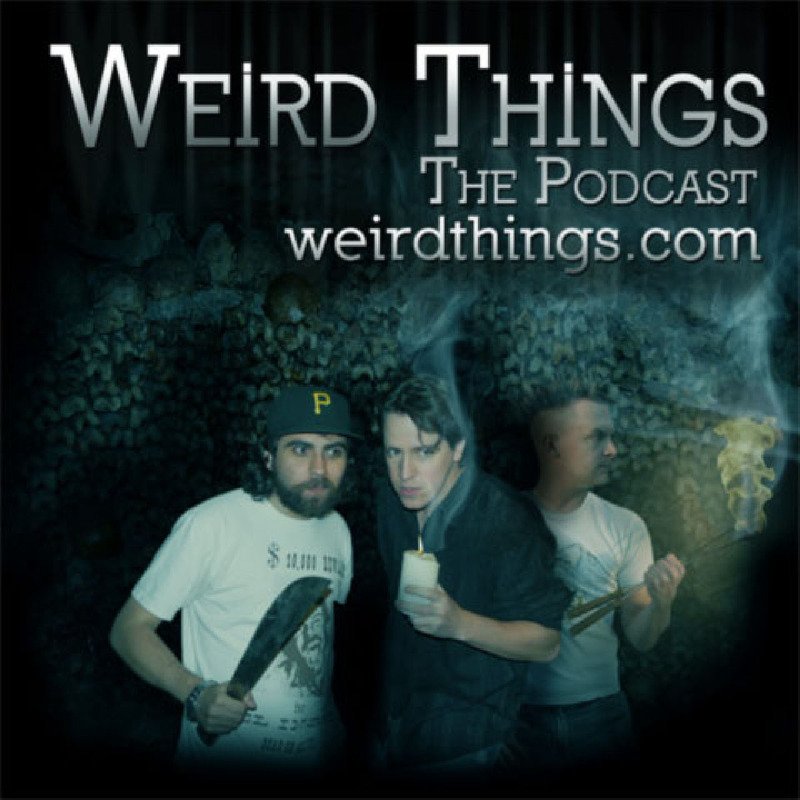 You are currently browsing the Weird Things blog archives for April, 2013.